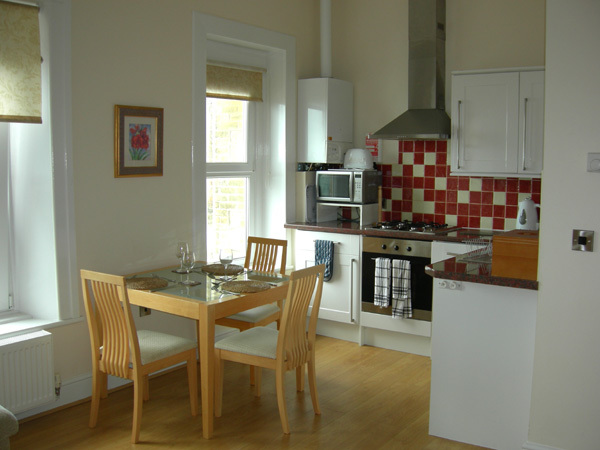 Bayview has high quality accommodation for 3-4 people in two bedrooms. 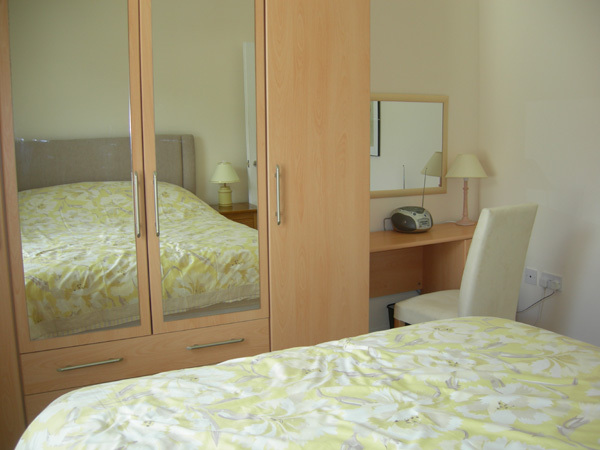 Rooms are decorated and furnished in an attractive and contemporary style. For comfort there is gas central heating in all of the rooms. Wifi is available throughout the apartment (WPA encrypted – password supplied), although no PC is provided. Gas and electricity together with bed linen and towels are included. All rooms have doors onto the central hallway, no rooms are accessed through other rooms. Because of the entry steps and stairs to the apartment, which is on the second floor, the apartment is not suitable for immobile disabled and we regret that pets cannot be accommodated. Bayview is a no smoking apartment. The whole of the front of apartment, overlooking the harbour and beach, is taken up with a living / dining / kitchen room with a modern solid floor. 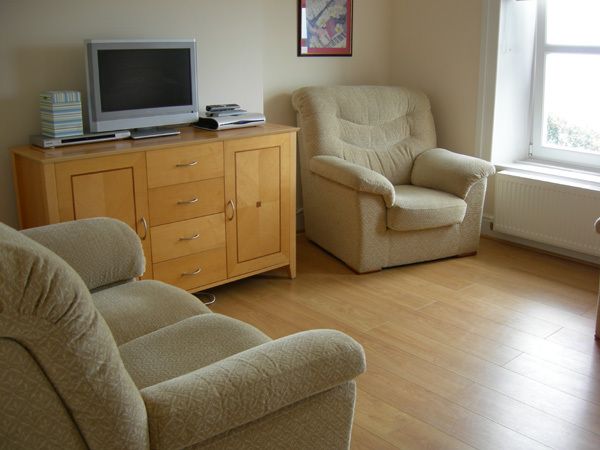 Living area: two comfortable armchairs, a two seater settee, flat screen TV with DVD player, satellite receiver, DVDs and games. Dining area: Glass topped table and four chairs. Crockery, cutlery and glasses for four people. Kitchen area: Gas hob, electric oven and grill, built in fridge with frozen food compartment, microwave cooker, toaster, washer dryer, cooking implements, pots and pans. An iron and ironing board are kept in the hallway. 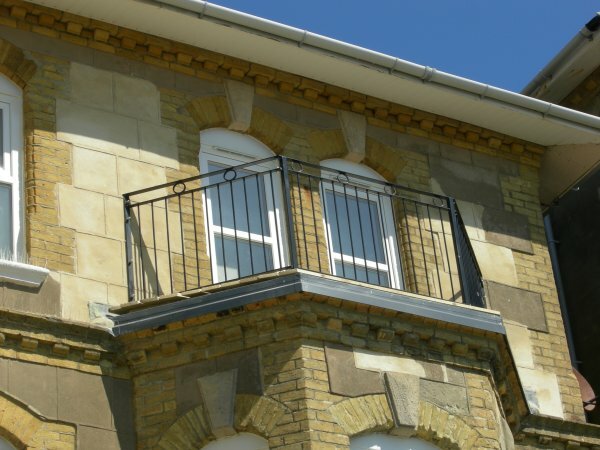 Balcony: a decked area with seats accessed from the living room with a wonderful view over the beach and harbour. 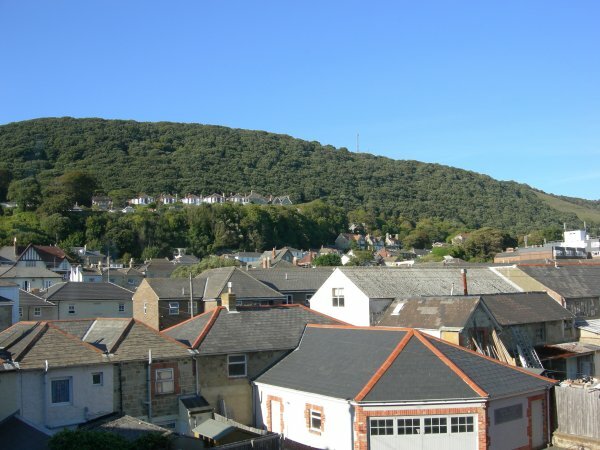 A carpeted room with window looking out over Ventnor’s rooftop to the highest point on the island, St Boniface Down, just behind the town. With very comfortable king-size bed, large four door wardrobe with full length mirrors, dressing table with mirror and lamps, two chairs, bedside tables and lamps and a portable Radio/CD player. 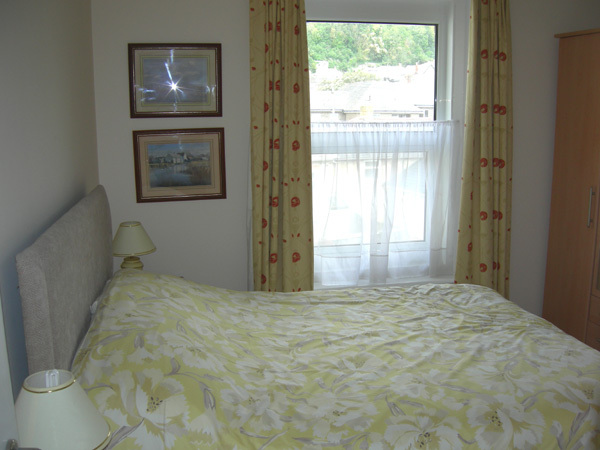 A carpeted smaller room with two full width single beds and a bedside table. There are drawers and hanging space directly outside in the hallway. A travel cot is provided in the apartment. This has a generously sized power shower, low level toilet, wash basin, shaver point, bathroom cabinet, storage shelf and heated towel rail. The apartment is on a private road and has a dedicated parking space directly outside. 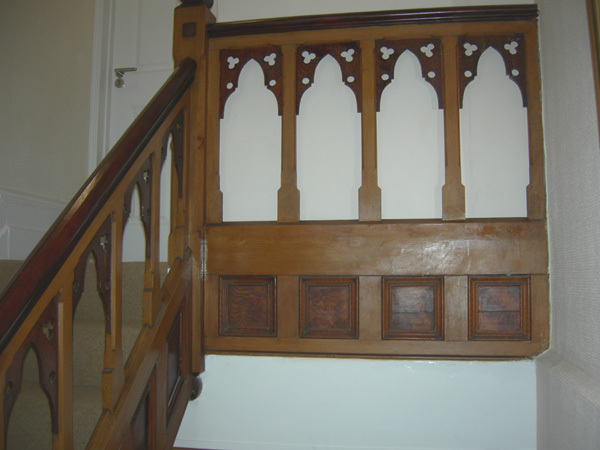 From the front door at ground level there is a lovely Gothic style carpeted carved staircase to the second floor. The staircase is original from when the house was built in 1883 and still has the craftsman painted wood grain effect in the panels that is now highly sought after. Another blissful week in an idyllic venue! ...Very nice flat - great views, very comfortable, excellent location. Apartment Superb, well equipped, pleasant surprise when we arrived.